Shortly after I started the blog last year, I went to an event where Ed Vere was talking about his book Grumpy Frog. I was instantly taken with his quirky, irreverent style and the complex themes being explored in what seemed a really simple, funny picture book. The author-illustrator told us both toddler tantrums and Brexit had inspired the story – and it was a lightbulb moment for me. I could see the power that reading with small children can have to shape them as a person, on top of the obvious educational and bonding benefits. Ed has a real knack for creating stories and characters that children and adults adore, using a mix of humour and empathy. His bestsellers Mr Big and Max The Brave have both been given away to children around the country as part of Booktrust campaigns and he’s won and been shortlisted for numerous awards. His latest creation is How To Be A Lion, about a sensitive, poetry-writing lion called Leonard who doesn’t want to chomp ducks but befriend them. It feels very timely given the crisis of masculinity we’re facing at the moment and while I’ve written a lot about showing my son books with strong female characters, I equally want him to see varied male ones like Leonard. When I heard you talk about your book Grumpy Frog, you said it addressed both toddler tantrums and the wider problems in the world. 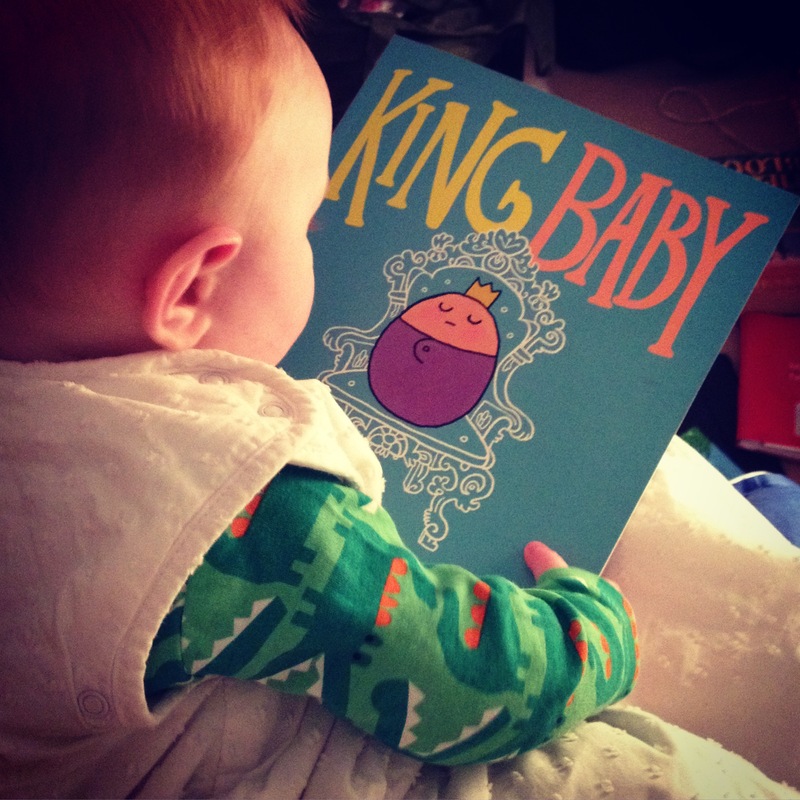 With all that is going on today, do you think picture books feel more important than ever? Is How To Be A Lion the next stage of that? “Yes, even more so. I was touring the US in autumn 2016, round the time of the presidential debates and that is completely where the book came from. There were so many belligerent voices and these voices filter down to children. They look at the President of the United States being a bully and aggressive – and he’s one of the most successful people in America. They are learning to be adults and what are we teaching them? Because that behaviour is not okay. “I wanted to create a story that shows you how to stand up for who you are and also to put forward another way, particularly for boys. They are conditioned to think there is one way to be masculine, but there are many ways. They are not all about having fights, bravado and machismo. Lots of people are much more sensitive than that, but that’s the example society approves of, or has done, for males. And it’s gone terribly wrong. What I like about the character of Leonard is that he knows his own mind. He knows he likes these things, he knows he likes Marianne the duck, and he is not embarrassed to stand up for that. How do you create your books? “It’s absolute torture all the way through! My books are all character-led and it’s the character that comes first. I will have a lot of things on my mind which I am thinking about generally, in life, and with this one, I was on my tour in America. I went to the Art Institute of Chicago and saw a Rousseau painting of a lion in the undergrowth. And he looked slightly aggressive but also something completely different to that. That hived off into the aggressive lions and also Leonard. “I draw a lot to begin with, to understand who the character is and see if there is a story or feeling that might attach to it. There were so many ideas that the start of this book and it took a year from start to finish, which is quite a long time. It was just a matter of filtering these ideas into something that didn’t feel preachy and making a character that you love and seems real. The colours and scenes in the book remind me of when the Lion King came out! It definitely captures the spirit of the setting. The artwork feels very different to your other books. You said the book took a year. Do you work on books simultaneously or just focus on one at a time? “I’m a really crap multitasker. I like having an idea and developing it. And refining that idea takes a lot of work. If you’d seen the book six months in, there was a complete book there but it wasn’t saying successfully what I wanted it to say. It’s been through so many revision and iterations to get to this point. It feels like hundreds of gallons of water that rain on land and it goes through rock and finally there’s just one drop of pure essence of this idea. There are a couple of running themes in your books that I’ve noticed. One is getting eaten by other creatures, another is not judging books by their cover. “It’s empathy really. The majority of adults don’t seem to have a lot of empathy, which probably means lots of children don’t have either. It’s a skill that your parents teach you. If they are not empathetic, they are not teaching that to their children. That’s why there is a lot of bullying in schools. Is there a book or a character you have created that you are most proud of or are most attached to? Or is it always the one you are working on at that moment? “There is an element of it being the one you are working on but I love them all in different ways. I keep coming back to Mr Big. Maybe it’s the response he gets. I’m just amazed how children love him and I think maybe the reason they do is an inner empathy in children. “He is a vulnerable character and they are so sympathetic towards him and they love him for his vulnerability. Whenever I go into a school and I ask them what to read, they ask for Mr Big. All it is, is ink on paper. I’ve drawn a gorilla playing a piano. It’s nuts. Characters from your favourite books become lifelong friends, don’t they? Also, you are not just reaching children – you are reaching parents. “Very much so. They might read a book 800 times, so you have to make it really entertaining for them. But you are saying important things to grown-ups too. And for the children when they are a grown up.